The latest patch for The Witcher 3: Wild Hunt was made available a few hours ago and it finally allows the PS4 version to run a lot more smoothly in the swamps. Check out our new GSY Tech video to see how much of an improvement it is. It may have taken 5 months for the developers to find a way to fix the issue, but at least now we won't have to capture any more footage in the swamps and that's awesome news. Good work CD Projekt! Seems like the best port ever. Glad to have played it on PC. One more year and it'll run at 60fps on iPad 2. So am I. Maximum on GTX 980. Hairworks killed the framerate though. It seems to me that the only thing they did was to enable triple buffering, which was previously disabled, which caused sharp drop to 20fps every time the fps dropped even one frame below 30fps (so instead or 29fps there was 20 because of double buffering). Triple buffering has been enabled on Xbox One from the get go, then it was mysteriously disabled in one of the patches (parity with PS4 ;) ) then re-enabled. You can tweak hairworks to your likings though and gain significant fps back. The difference is barely noticable. Highly recommend it. And his hair doesn't even look that good with it on. The creature's fur look great though, especially while they're moving. Have they reduced the volume of fog? I could be way wrong on this, but Novigrad on Xbox One has a lot more stuttering than before. I noticed it yesterday and it was quite bad. I played it on my GTX780 pretty much maxed out, though i kept the hariworks off since i heard it nuked the framerate for a lot of people. When i tried it i could barely notice any difference anyway (looking at the hair that is). I'd ratehr have a little less advanced hair and constant 60 fps though, so no worries for me there. I could be wrong and maybe I'm just seeing things but the lighting, shadows and fog seems to be affected with this update, just judging this area alone. It's been a while since I last played this game. Pause at the 37 second mark of video 1.10 and compare that to the 35 second mark of video 1.08, or just check my screen captures (PS4). Praise Da Lawd! I prayed to the 7 Gods: The Old and the New for this day to arrive! I'm so hyped I gave 4 obese children and high five, in my neighborhood! TBH, it looks more of a t.v./monitor issue - one looks like it has black crush and the 1.10 looks almost washed out. It could be a gamma discrepancy as well. New patches have a tendency of resetting your configuration. Gamma included IIRC. I play on PC, pretty sure it should be the same on console. Look at everything on the image. The minimap appears slightly different. On one it looks washed out and the other closer to looking proper. Like I said, I'd wager its an in-game settings and/or monitor/t.v. settings issue. On top of anything that the patch may of refined, changed etc. I'm off to DL the patch! Heard there are some bugs, urghh. We always capture the games with the default gamma settings. It very well could possibly be a developer gamma change. I'm not disputing the improvements with the performance. Just wondering what the costs were (if any). 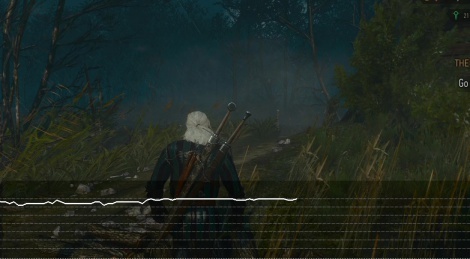 If you look the surface behind Geralt's feet below the FPS graph, I noticed the shadows and lighting difference between the two. Also the distance fog effects. Both videos have the same time of day and weather. And I do believe they were taken from the same save point also. I apologize for being nit picky. I do thoroughly enjoy the game and appreciate the developers hard work and updates. I will get back to this game after I've completed 100% of MGS V. Take it easy fellas. 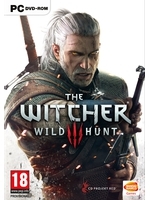 Well done to CDPR. However, I am beginning to wonder if people should buy C2077 day 1 instead of waiting for them to iron out issues that are more than likely to pop out (given their recent claim of it being much bigger than TW3) especially for console owners?